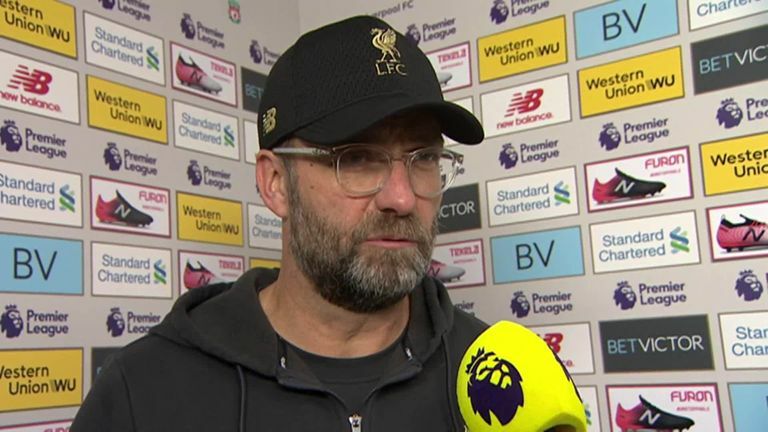 Liverpool manager Jurgen Klopp applauds his side for taking a six-point Premier League lead but says there is a long way to go. Jurgen Klopp dismissed Liverpool's lead at the top of the Premier League as "meaningless" despite it rising to six points. 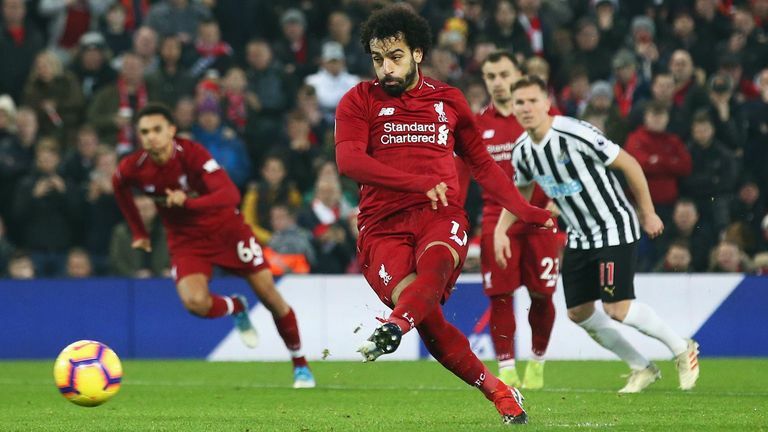 Liverpool thrashed Newcastle 4-0 at Anfield while Manchester City were beaten for the second time in four days, going down 2-1 at Leicester, to give Klopp's men the largest lead any side has held this season. The Reds remain the only unbeaten side in the Premier League with half the season gone, while City have slipped to third behind Tottenham, who thrashed Bournemouth 5-0 at Wembley to move second. But Klopp told Sky Sports: "It means nothing. It's important how many points we have, not the others, because what is six points? It's nothing. We have to play them still, they are all strong, we have to play all of them again. "The first part of the season is over, and the second starts again in three days against Arsenal. It's a tough season, but so far a good season for us. We just have to keep on going." Liverpool turned on the style after half-time having scored from one of their only attacks in the opening 45 minutes, when Dejan Lovren fired in a powerful half-volley with 11 minutes gone. Klopp added: "We weren't 100 per cent happy at half-time, we had to avoid the counter-attacks they had from time to time, and adjust formation wise and come in between the lines. "We scored and were very fortunate to have a penalty straight after the second half started, and then it was a really good day for Liverpool. "But it was a good game. We started not 100-per-cent concentrating defensively, but going forward we were offensively good immediately. "It looked like we enjoyed the game, we played good football, were very direct, had good passing combinations, but it needed a set-piece to score the goal. "First half was just difficult to break down a formation like that, 5-3-2 we've played three times in a row in a similar way, but still it's always different."